Add powerful and easy-to-use Bluetooth Low Energy to your robot, art or other electronics project? With BLE now included in modern smart phones and tablets, its fun to add wireless connectivity. 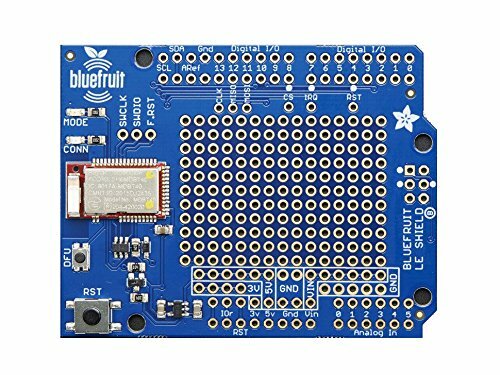 So what you really need is the new Adafruit Bluefruit LE Shield for Arduino! If you want this in non-shield format, check out the SPI friend. If you like Serial communication more than SPI, we also have a breakout can talk UART.